How To Root And Unroot ZTE V967S Without PC. 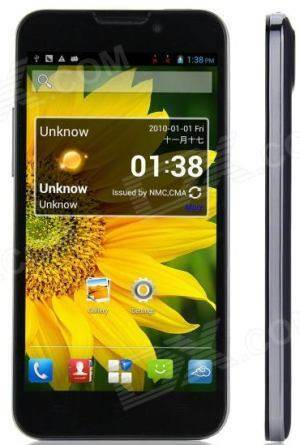 The ZTE V967S is a phone equipped with a quad-core processor which has a working frequency of 1.2Ghz. The phone has a big 5-inch display with a screen resolution of 540×960 pixels. The device is packed with a 5MP rear and a 0.3MP front facing camera and it works on the Android 4.2 Jelly Bean. Those users who have purchased ZTE V967S Smartphone can root there device with Framaroot. This app lets you completely root your device by just a one click! You don’t even need to use your computer! Voiding Phone’s Warranty: If you’re rooting your device then get ready to end your phone’s warranty. Rooting will void the warranty of your phone. However, you can reinstate the warranty by unrooting your device if you can. This is the reason why some people don’t want to root their Android phone. Reboot the device and you have successfully rooted your phone, now download Rootchecker from Playstore to confirm it. That’s it. Now you have finished rooting your ZTE V967S Android smartphone without the help of a PC or Laptop. You can download and install the “Root Checker” to check your device’s root privileges.